A merger and acquisition several years in the making between Sprint Corp. (NYSE: S) and T-Mobile U.S. Inc. (Nasdaq: TMUS) is roiling the telecoms market. TMUS agreed to pay $26 billion for Sprint on April 29. That sent shares of TMUS spiraling down 9% since the merger was announced, while Sprint powered up 20% in April. You see, the Sprint and T-Mobile deal promises to combine the third- and fourth-largest U.S. mobile carriers and establish a rival to AT&T Inc. (NYSE: T) and Verizon Communications Inc. (NYSE: VZ). 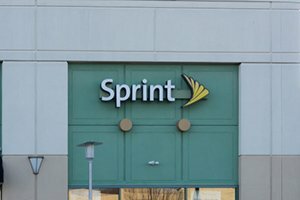 Sprint and T-Mobile have touted that this deal would create thousands of jobs and improve prices for consumers. However, these two companies included a healthy dose of fiction in their press releases. a deal couldn't come together for two reasons. First, the head of the U.S. Federal Communications Commission, Tom Wheeler, openly opposed the deal. He argued that there wasn't a clear benefit for consumers by reducing the number of large-coverage carriers from four to three. Second, there was chatter that both boards of directors wanted to retain majority control of the newly formed organization. That made any sort of deal impossible. The FCC leadership no longer has a strong stance on how many carriers should exist, making it easier for a merger. It currently has $36.86 billion in total debt, just $4.61 billion in cash, and year-over-year quarterly revenue growth is an abysmal -3.6%. T-Mobile and Sprint say a merger would create thousands of jobs, according to an April 29 report by The New York Times. But Jonathan Chaplin of New Street Research projects that the deal would kill "approximately 30,000 American jobs." He's not alone. Vendors, suppliers, and other business partners would be let go if there is a merger, according to The Chicago Tribune. The jobs of current retail employees are also at risk, as the cost-cutting efforts could close stores that are near each other. "Only the new T-Mobile will be uniquely able to accelerate the country's position and quickly deploy a broad and deep nationwide 5G network that will deliver better service and lower prices to consumers across all parts of the U.S.," says Allfor5g.com, a new site created for T-Mobile and Sprint. It's almost impossible to find an analyst or industry advocate who agrees with this statement. What will really happen is that the deal will cut the number of large-carriers from four to three and reduce the need for companies to compete on price. Fewer options also reduces the need for companies to battle on quality, customer service, and any other competitive metric. It's a bad deal for customers, employees, and investors. This is a very competitive industry, and the large telecommunication stocks have drastically underperformed the Dow in the past five years. While the Dow has climbed 62.36% over the last five years, the VZ stock price has dropped 2.11%, AT&T has dropped 11.52%, and Sprint has dropped 9.09% during that time. T-Mobile was the only company that made shareholders a gain, with a 268.69% return during that time thanks to its CEO, John Legere. 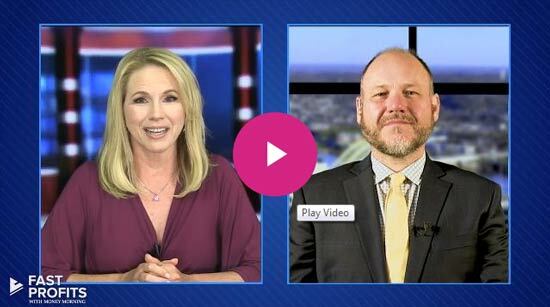 Legere and T-Mobile's innovative approach to competing with the telecom giants made TMUS one of the best stocks to own over the last five years. Legere focused on giving customers what they want, getting rid of two-year contracts, roaming fees, and removing the incomprehensible charges at the bottom of bills that cell phone users have come to expect. But the takeover of Sprint tells us T-Mobile's best years are behind it, and is now content to mirror the strategies of Verizon and AT&T. Instead of a scrappy company competing for market share, TMUS will simply take on its rivals by trying to match their size. And that's going to be costly for shareholders. Sprint is bogged down with $32 billion in debt and has been hemorrhaging money for the last three years, but T-Mobile is still paying a premium to buy the company. Plus, the combined company will bear a $77 billion debt load. Bloomberg is calling the merger a "junk-bond behemoth." That has us staying away from this merger, but it's also overshadowing another merger and acquisition in 2018 that stands to be a watershed moment for investors. I'm new to all this, but know that with your help I will succeed. How simple some of the strategies are, or rather they look easy. We'll see if I can follow directions and instructions. How can we tell before a merger which one will rise and the other will fall?